This online registration accepts credit card payments. If you would like to pay for your ticket by cash or check, contact the office at 206-789-1919 or office@cycseattle.org. Help support youth sailing on Puget Sound! Only 80 tickets available - register soon! 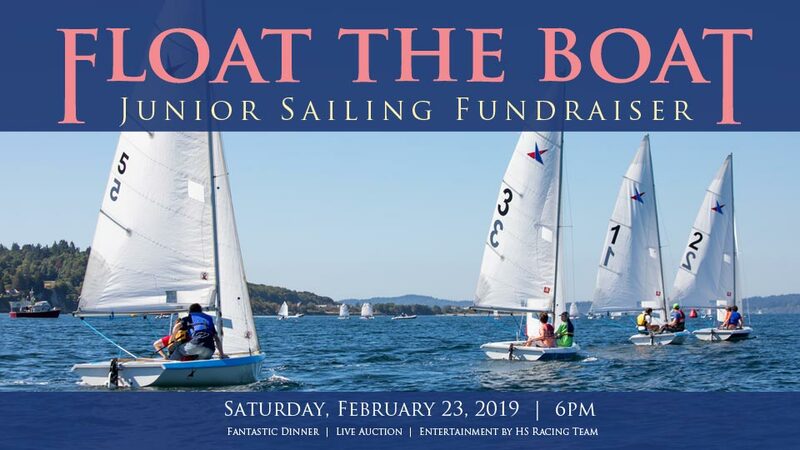 Come experience a live auction, listen to speakers, and have a nice and relaxing home cooked dinner, while supporting CYC junior sailing. You may have the opportunity to get a sailing lesson with members of the race team, receive a boat haul-out or sail repair, get home cooked meals and desserts, and much more. Proceeds go to support scholarships for CYC summer camps, and new boats and coaching for the high school race team. Competitive dinghy sailing is an incredible opportunity that involves traveling to weekly regattas in locations all over Washington and competing against other high school teams. The past year a few CYC members and several dedicated young sailors have been forming the new Ballard High School sailing team, and King’s High School will be joining them this spring season. There has been much success and great potential. By donating to this cause, you will be helping further accessibility for sailing opportunities. Can't go but would like to donate an item or funds? Email Juniors@cycseattle.org. Your support is greatly appreciated.